Welcome to the Hatfield Practice. We are a family run clinic with over 30 years experience. Ian & Helen Norman run the Hatfield Practice in a thoughtful and patient-focused way. Our “specialists” comprise of around 15 practitioners. 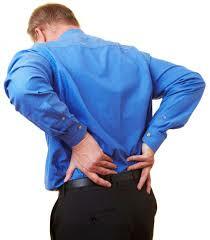 We will use clinical tests and a biomechanical exam to identify areas of pain and restriction. He will assess areas of weakness, tenderness, limitation or strain. These tried and tested methods help us to make a more precise diagnosis. We will discuss your treatment plan, estimating the likely number of sessions needed to treat your condition effectively. Patients nearly always feel better after their first visit. We specialise in the excellent quality treatment and healthcare advice. Its important to us that the injury’s not repeated all over again. The Hatfield Practice described as a “very friendly, relaxing and professional practice”. We will always try to listen and have the patients best interests at heart. Bupa and Private healthcare members have direct access to Physiotherapy and Osteopathy at the Hatfield Practice with their private health plan. Bupa and private Health Plans provide patients faster access to treatment, increasing patient choices and making it easy to make appointments. The Hatfield Practice also has a simple to use online diary on the website. Overall making it easier to see a Bupa or private healthcare recognised physiotherapist or Osteopath close to where they live or work in Hatfield, Hertfordshire. Clinical evidence indicates that early treatment speeds up healing times. Bupa and Private healthcare access also reduces time off work and patient satisfaction compared to patients who have been referred to NHS services by their GP. * Bupa members with muscle, joint or bone conditions are asked to call Bupa to pre-authorise their treatment, they will be offered an in-depth telephone assessment in line with best practice and all relevant professional standards. Full-time friendly reception to make everything easy! The Hatfield Practice, we only employ experienced registered therapists. Ongoing care required by Bupa members may include supporting with Physiotherapy rehabilitation, Osteopath treatment and exercise classes to help self-manage their condition. Our Physiotherapists and Osteopaths are Bupa recognised healthcare specialists and are DBS checked for your peace of mind. The Hatfield Practice provides a warm personal professional environment. We have a full-time friendly reception to make everything easy so that you feel relaxed and at home. Patients always welcomed, offered a cup of tea and up to date magazines. The Hatfield Practice has modern, warm, safe and clean facilities. All our Physiotherapists and Osteopaths are time served practitioners, they are trained to be considerate and will deal efficiently with your pain or condition. With over 30 years of experience as a business, we still take our time to make you feel special. Many of our patients come to us from Gp or friend and family referrals. We always go the extra mile to meet our patient’s expectations. Being in my late 50’s I thought that the lack of mobility in my back was just another symptom of growing old(er). However Ian soon identified the muscular issues that were to root of the problem and after a number of sessions I am feeling a lot more mobile. Not quite the full Mick Jagger yet but getting there.